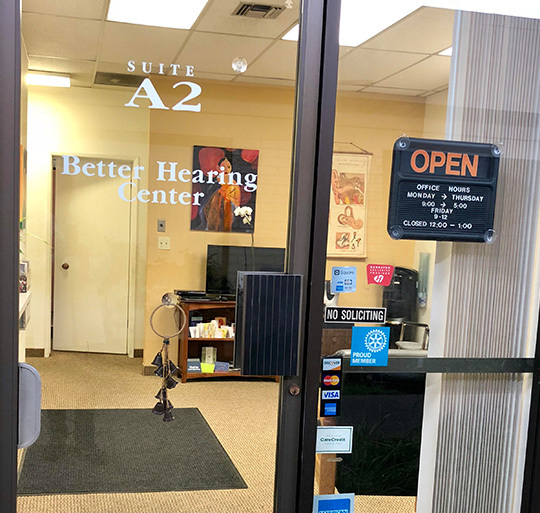 Better Hearing Center is dedicated to improving the quality of life through comprehensive hearing rehabilitation and we have been providing hearing care to the Stockton/San Joaquin County area since 1971. We use precise testing equipment in a calibrated sound booth to accurately measure hearing loss. We spend quality time with you to identify specific difficult listening environments that are a priority to you and to determine the appropriate technology of hearing instruments that will give you ease of listening, reach your speech understanding potential, and meet our goal of Better Hearing. We offer financing through HealthiPlan and CareCredit. "My Hearing doctor has been a real big help with me and my hearing, he has a real understanding about me and my hearing loss. He is very easy to talk to." "The Clarity of sound is excellent- I can now hear a lot of sounds for the first time." "To all the doctors I have contacted you are the best and honest doctor I have ever contacted. I told my friends and relatives about your honesty of your services."